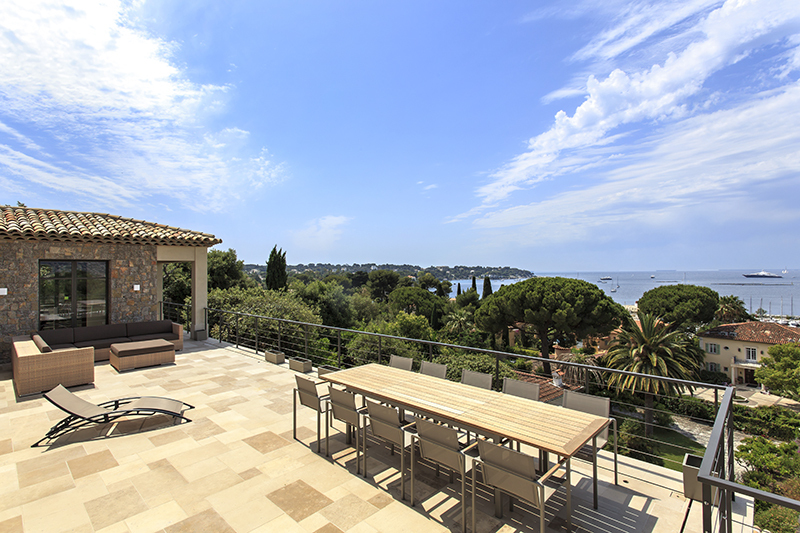 This beautiful villa is situated close to the beaches and the port of Cap d’Antibes. The property offers breath-taking panoramic sea views and has been completely renovated to an exceptionally high standard. The villa comprises of 6 tastefully decorated bedrooms, most with an en-suite bathroom or shower room for added privacy and comfort. The villa is set across 4 floors with a lift serving all of them. The double lounge and dining room are spacious and bright with flat screen TV, sumptuous sofas and a dining table that can accommodate up to 12 guests. The open plan kitchen is fully equipped and includes an electric oven, wine fridge and an American fridge. 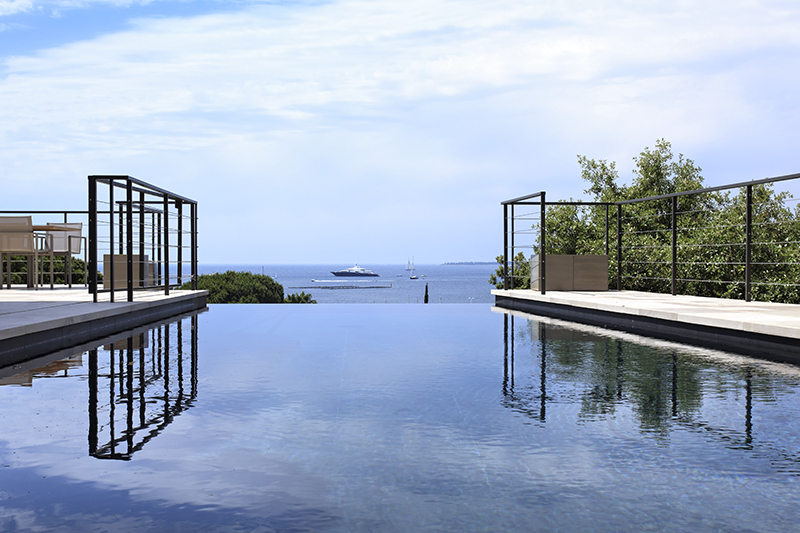 The outdoor space of the property features a stunning infinity swimming pool surrounded by expansive terraces that are perfectly furnished for sun-bathing or outdoor dining. Guests can enjoy the spectacular views and the Mediterranean sunshine. The pretty garden is well-maintained with fruit trees and a grassy area. A separate apartment is located on the grounds of the villa and includes a lounge area, dining room and a kitchen, making it ideal for staff or for teenage guests looking for extra privacy. 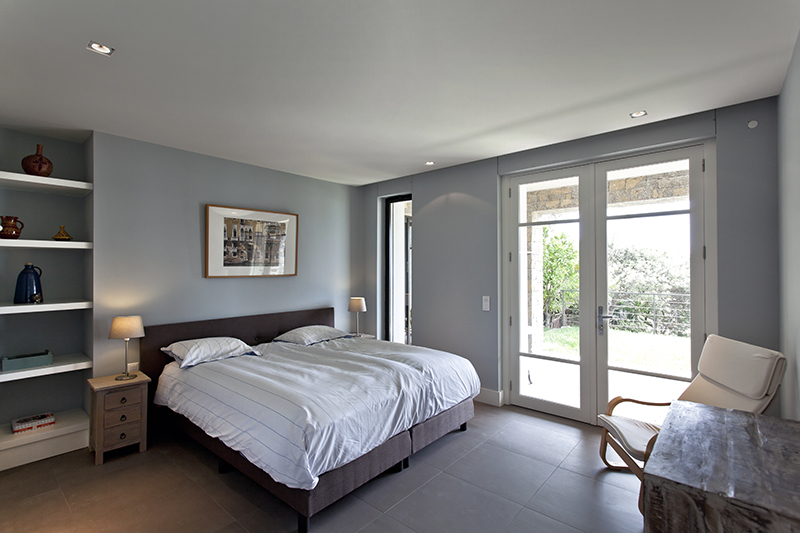 Double bedroom N°3: bed (180cm or 2 x 90cm). Bathroom with two sinks covered terrace. Double bedroom N°4: bed (180cm or 2 x 90cm). 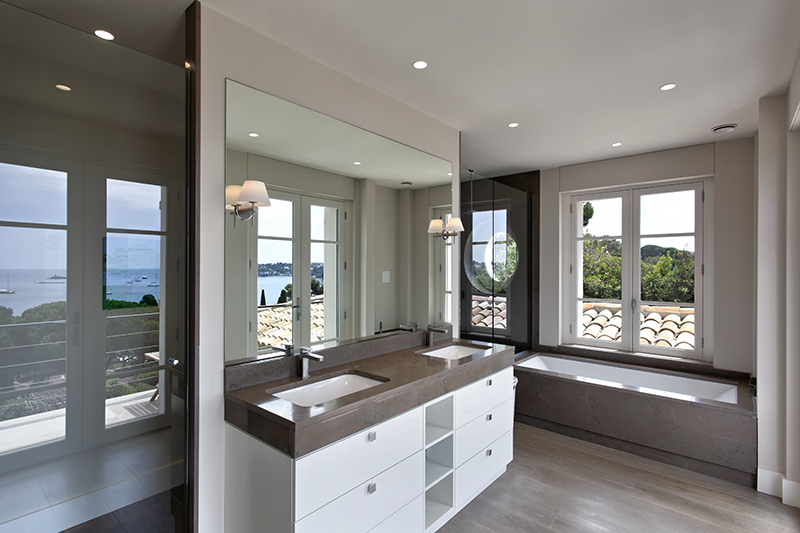 Bathroom with two sinks covered terrace. Independent Apartment – Living Room, Dining Room & Open Kitchen.